The Cappasity team is now happy to share a preview of one of the Enterprise Analytics System modes. This particular mode allows enterprises to track customer engagement, reveal the most popular angles for viewing and evaluate the quality of the imagery. As you already know, Cappasity has an AI-based 3D analytical tool for 3D imaging, that helps retailers to understand potential customer behavior and preferences. 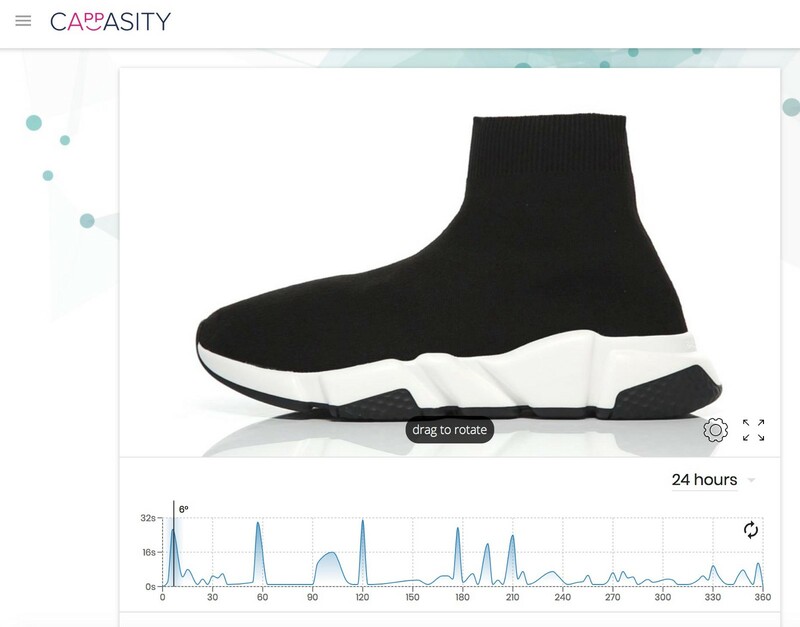 Cappasity.AI tracks the way potential customers interact with 3D images of products embedded into retailers’ websites and presents the most important metrics via a heat map. The map shows dwell time, points of customer interest, the best angles for thumbnail product positioning — metrics that provide valuable insight to effectively manage products and assortment and boost sales. With the insights gathered by our AI tool retailers will be able to improve content visualization and product design, choose the most pleasing color combinations among products and highlight the bestsellers. The accumulated data could be invaluable… For instance, let’s say 100,000 customers, while examining a certain clothing item, zoomed in to see the stitching and spent half of overall dwell time studying the zipper, — to a marketing team quick on their feet this piece of information could prove crucial. The type of data gathered by our analytics tool is completely new to the market and according to Smart Data Collective the way “retailers track their inventory and consumer interest will soon be revolutionized” with the help of AI. And Cappasity.AI will drive the revolution.